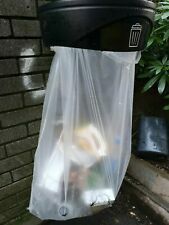 Holds bin bag open for Litter picking. 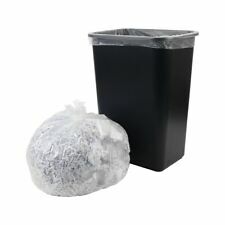 You will received 1 bin bag holder, colour chosen at random. 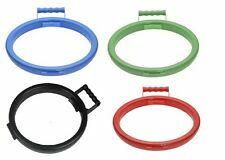 BIN BAG RING / HOOP HOLDER. Staples Trash Bags Drawstring White 13 Gallon 50 Bags/Box 518102 - Sold as 50/BX. 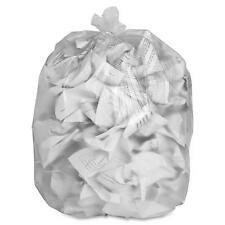 Staples Drawstring Tall Kitchen Trash Bags, 13 gal.. 9 Mil, White, 50/Box (54000)(51242-CC/18931. • Ideal for all trash applications, including heavy industrial trash. ). 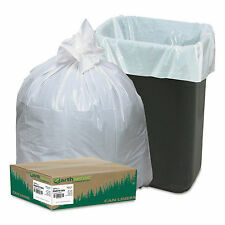 Hefty Ultra Strong Tall Kitchen & Trash Bags 30gal 1.1 Mil Black 74/Box E85274 - Sold as 74/Box. Strong and durable; easy to lift and carry. Convenient drawstring closure. • Strong and durable; easy to lift and carry. Excellent quality British manufactured Black Sacks. 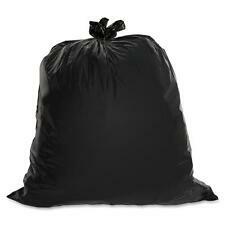 Heavy Duty 'Black Bin Liners'. Sports & Outdoors (27). Safe & Secure. Pet Care (4). 20 bags per Roll. Garden (14). Capacity: 50L. 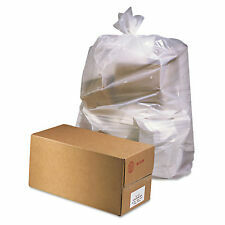 Staples Trash Bags Clear 10 Gallon 300 Bags/Box 735679 - Sold as 300/BX. Staples Tab Tie Trash Bags, 10 gal.. 31 Mil, Clear, 300/Box (51243-CC/18426) (51243-CC/18426). • The 10 gal. capacity is perfect for the kitchen or throughout the house. 918321 - Sold as 25/BX. Staples Tab Tie Tall Kitchen Trash Bags, 45 Gallon, 1.10 Mil, Black 25/Box (54003)(51245-CC/20964). • Ideal for all trash applications, including heavy industrial trash. • The 45 gal. Made from HDPE (High Density Polythene). 100 x White Square Bin Liners | 15" x 24" x 24". Excellent quality Square Bin Liners. ​Light Duty. Our range of Square Office Bin Liners are designed to fit into most square office bins up to 20ltr in size. Being light duty these sacks are only suitable for use as bin liners and are not designed to be used as refuse sacks. Extra heavy-duty liners for all types of jobs. • Extra heavy-duty liners for all types of jobs. Earthsense Recycled Tall Kitchen Bags 13-16gal. 8mil 24 x 33 White 150 Bags/Box - Sold as 150/BX. So tough, they're nearly puncture-proof. Contains recycled content. • Contains recycled content. Excluded are Alaska, Hawaii, Puerto Rico, APO/FPO, PO Boxes and International locations. Staples Drawstring Tall Kitchen Trash Bags, 13 gal.. 9 Mil, White, 120/Box (54005)(51248-CC/BPR447). • The 13 gal. capacity is perfect for the kitchen or throughout the house. • Close even the fullest bags with one quick pull of the drawstring. Linear low-density polyethylene provides industrial-strength puncture and tear resistance. Individually folded for quick and easy dispensing. • Star-seal bottom. Excluded are Alaska, Hawaii, Puerto Rico, APO/FPO, PO Boxes and International locations.